Incepted in the year 2011, we, “Khushi Enterprises”, an ISO 9001:2008 certified company are a recognized name in the market for manufacturing and trading of packaging products. 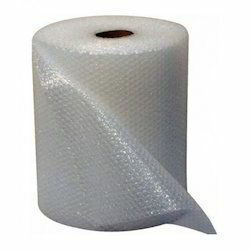 We are eminent Manufacturer and trader of Packaging Products like all type of Air Bubble Rolls, Adhesive Tape and Stretch Film etc. Our products are known for their quality, adhesion strength, temperature resistance, etc.